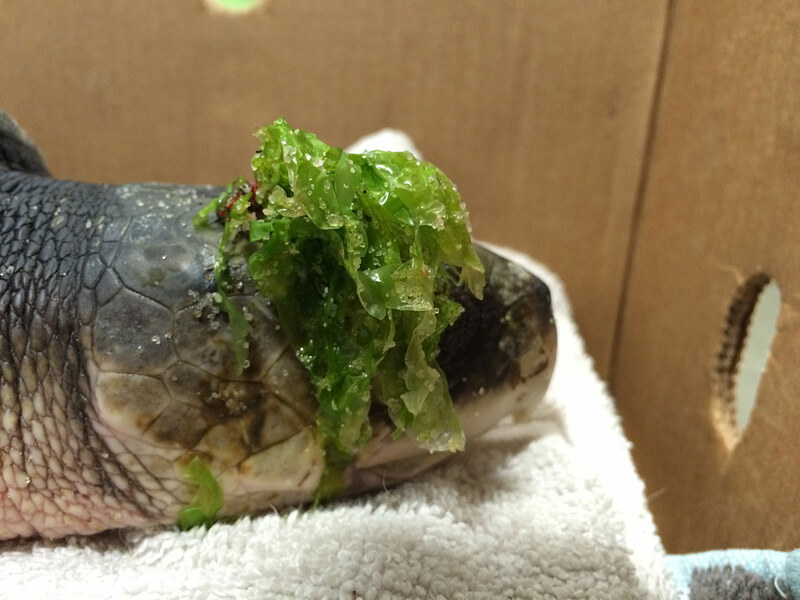 The cold-stunned sea turtles are arriving in great numbers these days. Our rescuers are working to keep up with turtle exams, transports, feedings and more. But we'll share news and tidbits here. Stay tuned! 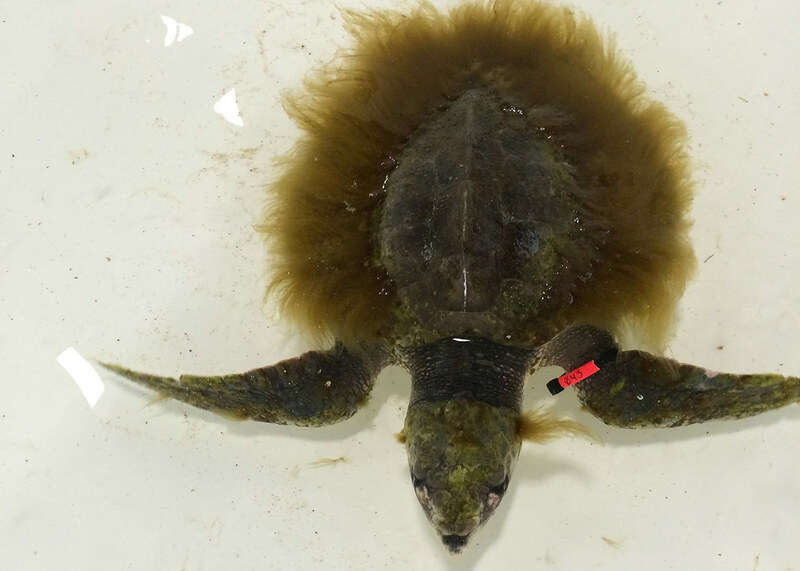 Most of the cold-stunned sea turtles that arrive at our facility for rehabilitation have been floating out in Cape Cod Bay for a while. Since they've been moving so slowly, seaweed and algae have had a chance to accumulate on their bodies. Here are some examples of the flora that the turtles carry to Quincy. But once the turtles have been examined by our rescue team, their shells are gently scrubbed with kitchen sponges so we can write an ID number on their shell. 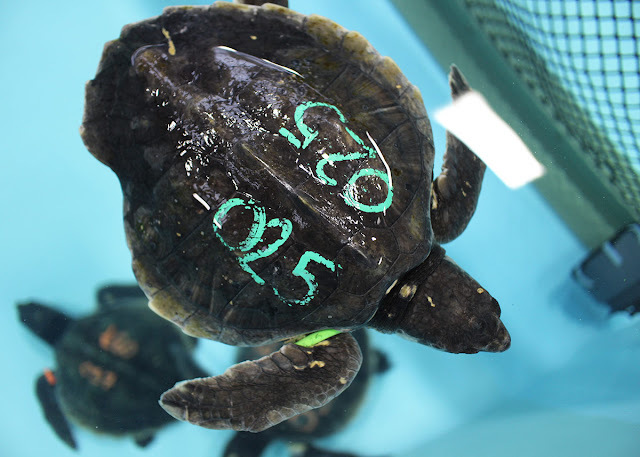 This color-coded ID number, which also appears on a temporary band on their flipper, helps the rescuers identify the turtles as they float in the pools. That way they can pull the correct turtle for its exam or document how much an individual turtle eats. Those ID numbers are already well over 100. 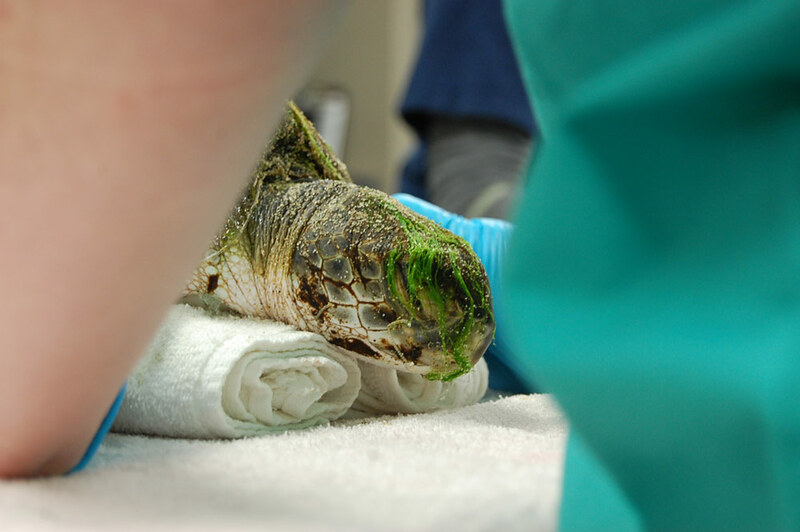 Buckle up, sea turtle stranding season is getting busy—very busy! 2015 Turtles: Rescue season is now!